The Silver Reserve is with Ben Wall at Oporto. What an absolute joy to share a stage with @rachaeljeanharris and @dilettantesongs. The @rachaeljeanharris three-piece set was just an absolutely note-perfect, sublime set which just seemed to build and build. I need to catch her again. We did our thing and then @dilettantesongs rounded off in style, including some really inventive live looping! What an ace night - audience were delightful too. @oportobarleeds wins again! Thanks to Alice Trifunovic for the pic of us! The Silver Reserve is feeling excited. Our next show is a week on Sunday at Oporto with Dilettante for their single launch so you have time to learn all the words and sing along at the back or in a really intense way at the front if you prefer. Playing with a new loop last night. Lost a couple of hours to this one. 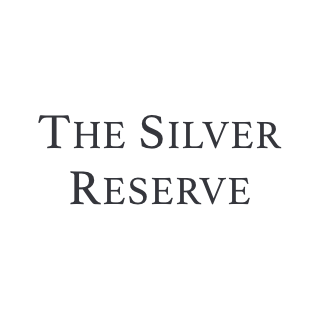 The Silver Reserve is feeling thankful. After playing live on my own a lot the last couple of years I found that I was enjoying the sparseness and openness that this brings. I feel very fortunate, however, to have band mates who know exactly when to play and when to show restraint and it has been a real joy to start fleshing out these newer songs. We played this song for the first time live at Oporto a few weeks back and fortunately the team at Square One were there and spoke about recording this live session. The Silver Reserve shared a post — feeling excited. Our live session with @squareone_sessions is coming tomorrow! Really exciting to finally share some new songs.